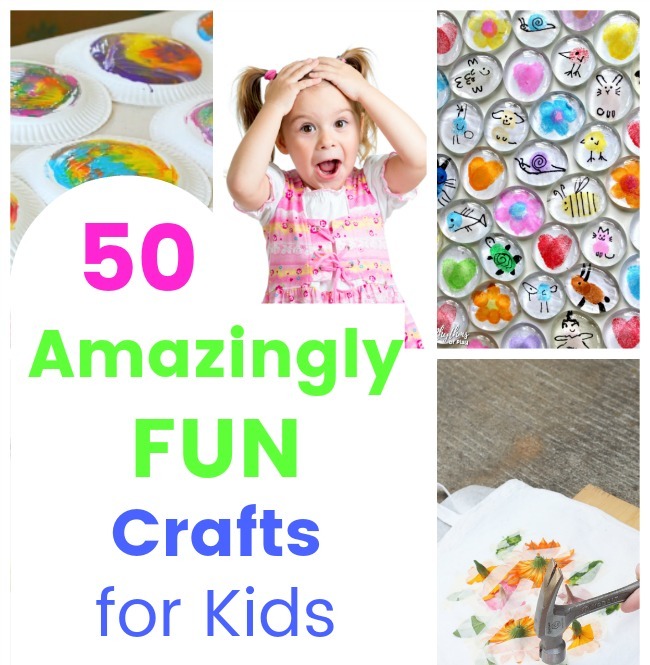 50 Amazingly Fun Crafts for Kids! Want to build creative and happy kids? Time for some crafting! I just love doing crafts with my kids and I always have – which is exactly why you will find so many crafts and art activities on this blog of mine. 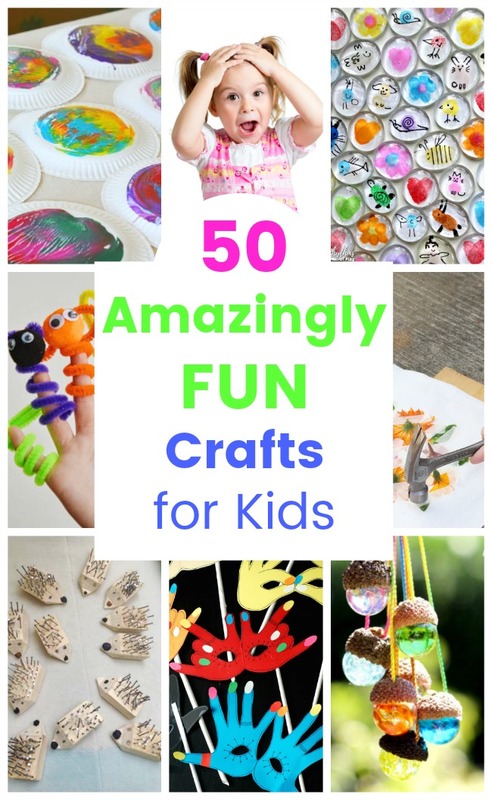 Today I wanted to share a huge resource of 50 fun crafts for kids with you. These fun crafts for kids are tried and true – guaranteed to be simple with minimum set-up and supplies, and loads of fun. Perfect for a rainy day or any time you want to make a memory or two with you little ones. Please let me know your favourite crafts for kids and I will add them to this resource. Have fun crafting Mama! 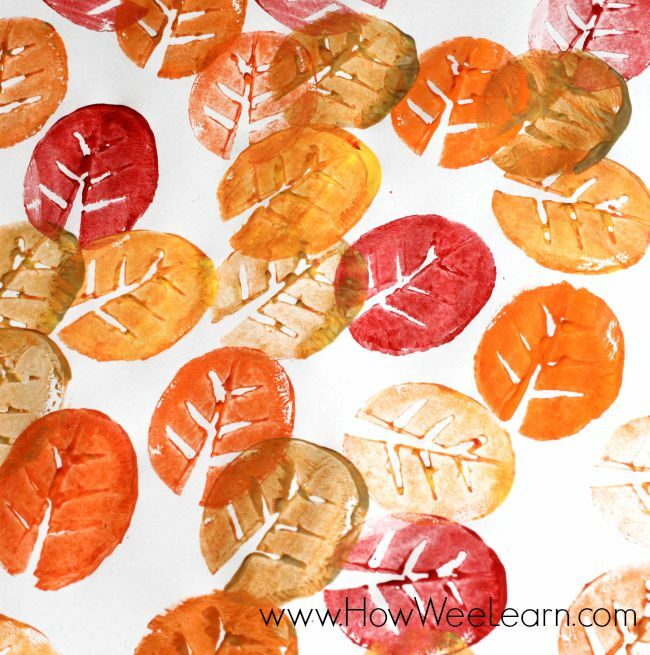 Fall Leaf Potato Stamping for Kid: Cut a cool leaf design in the potato and add some pretty fall colours for this beautiful autumn craft. 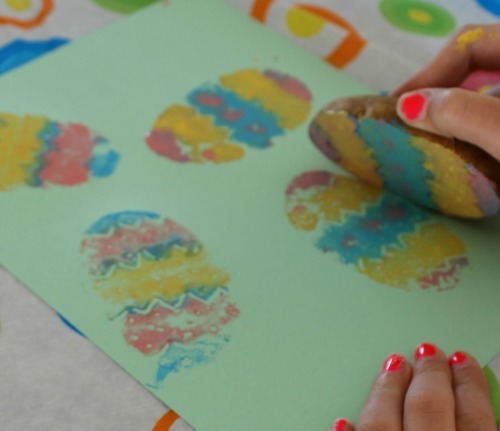 Easter Egg Potato Stamping for Kids: Cut some zigzags and polka dots into half of a potato and it begins to look like an Easter Egg. A perfect craft for Spring. 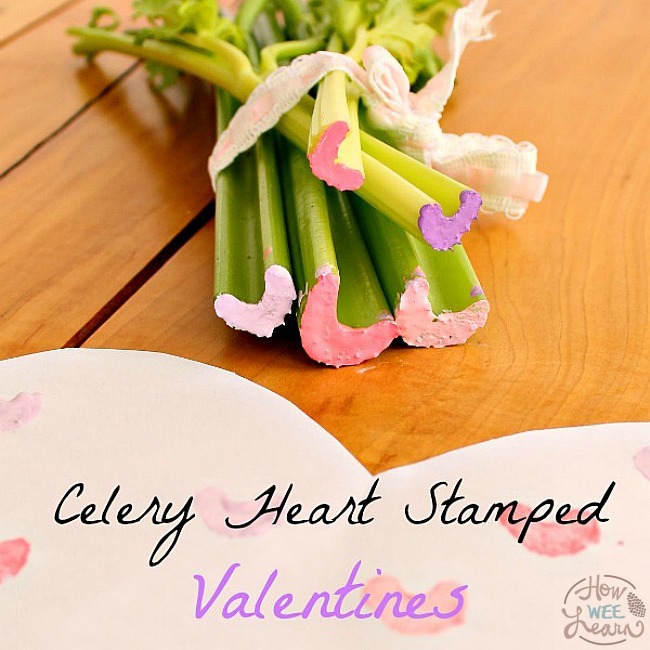 Celery Stamping Hearts: Have you noticed how the end of a celery stalk looks like a heart? Perfect for some Valentine’s Day crafting, or anytime you want to put a little heart into your crafts! Pepper Stamping: Just like celery looks a certain way once you see it, have you ever noticed that some bell peppers look like shamrocks? This is a fun craft for kids for St. Patrick’s day! 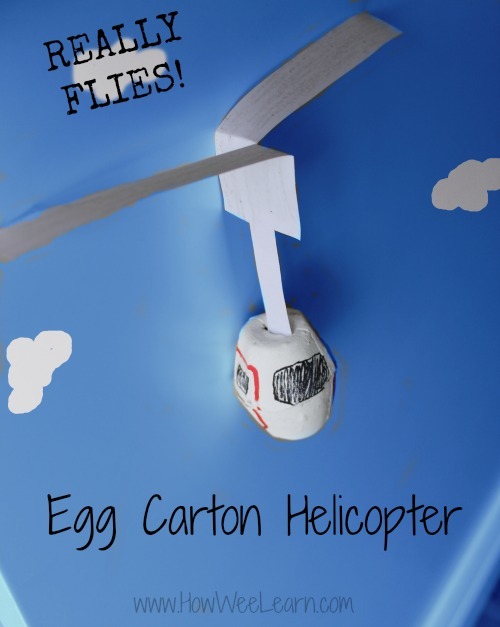 Egg Carton Helicopter: A sure way to ensure a craft is loads of fun is to make a homemade toy! This homemade toy is a fun craft and an awesome science experiment too. 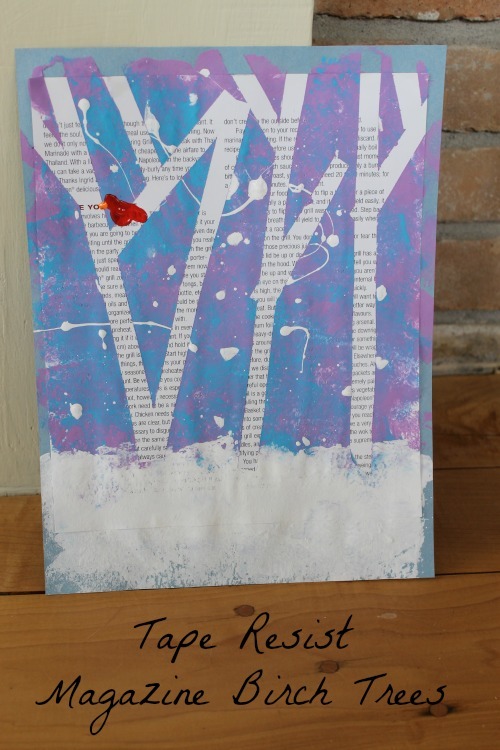 Birch Tree Art: Don’t let this craft fool you, it is very, very SIMPLE! This craft uses a tape resist approach and is great for kids of all ages. Crayon Resist: Another fun and simple craft technique is crayon resist. Use crayons first and then paint and the crayon shows through. A neat craft with a beautiful result. 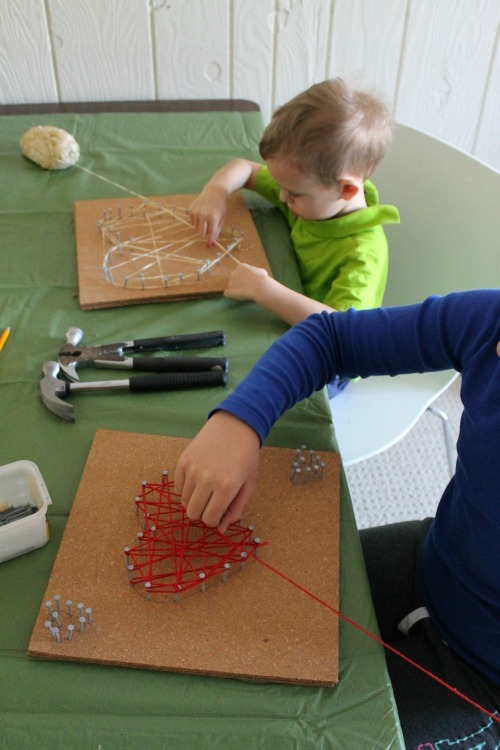 String Heart Art: Using a hammer and nails in a craft? Now that is fun for kids! 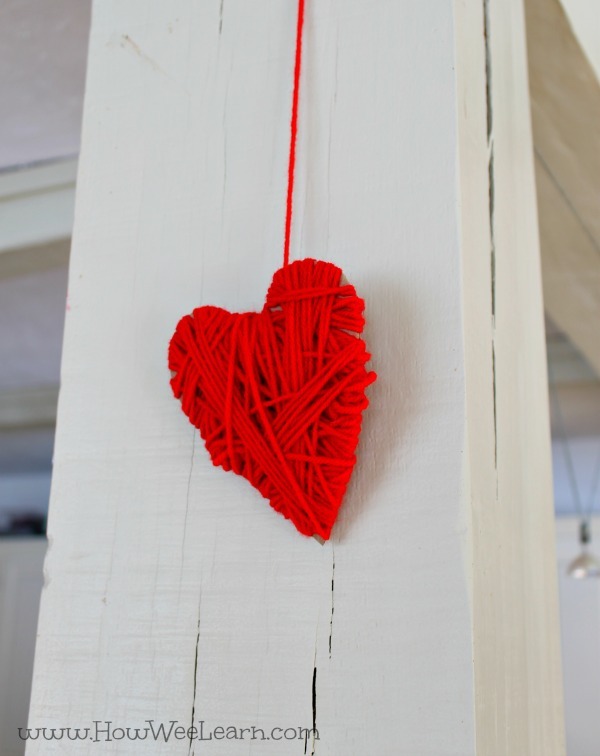 We did this string art in a heart shape, but you could do it so many different ways. You could try your child’s name, an animal shape, the moon, you name it. 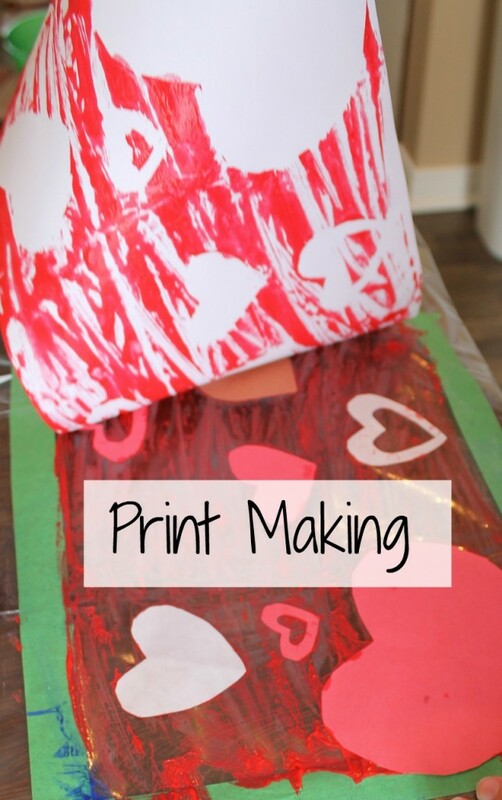 Print Making with Kids: Another fun craft technique for kids to explore is print making. 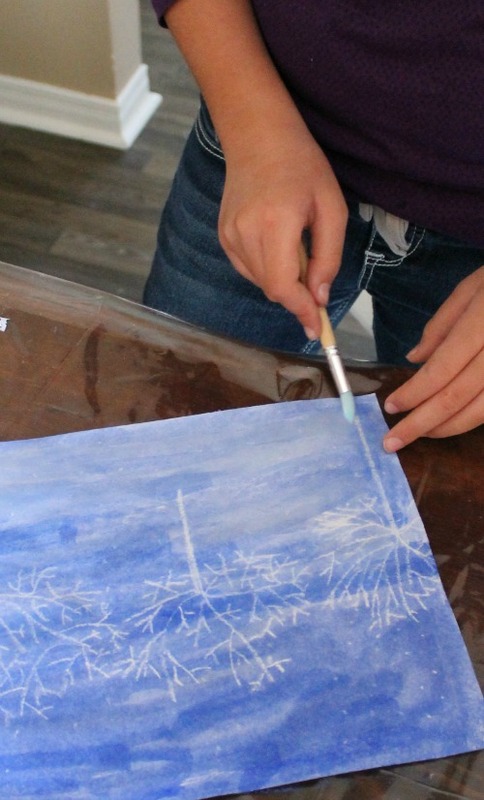 Create a masterpiece right on the table and then press a piece of paper over top to capture a print of the masterpiece. 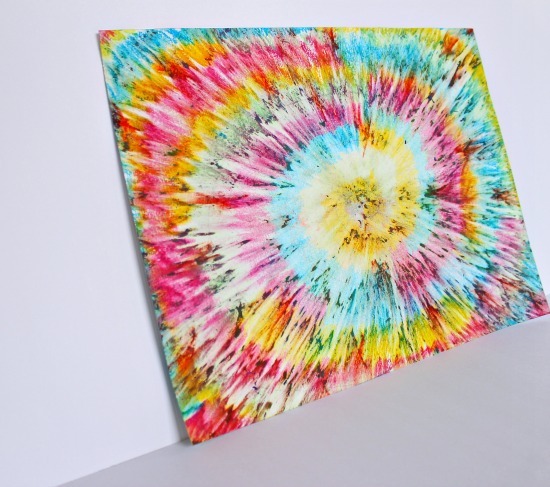 Groovy Tie-dye Art: Another craft that looks far harder than it really is! This craft uses a very simple technique to make some really psychedelic looking art. Yarn Wrapping: Take any cardboard shape and let your little one wrap it in yarn. It turns out to be so cute and children really seem to love the process. 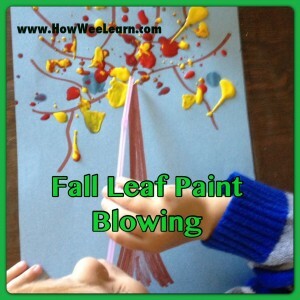 Paint Blowing: Another simple and fun craft for kids is this paint blowing one! Water down some paint and add a straw for fun, messy, and creative crafting. 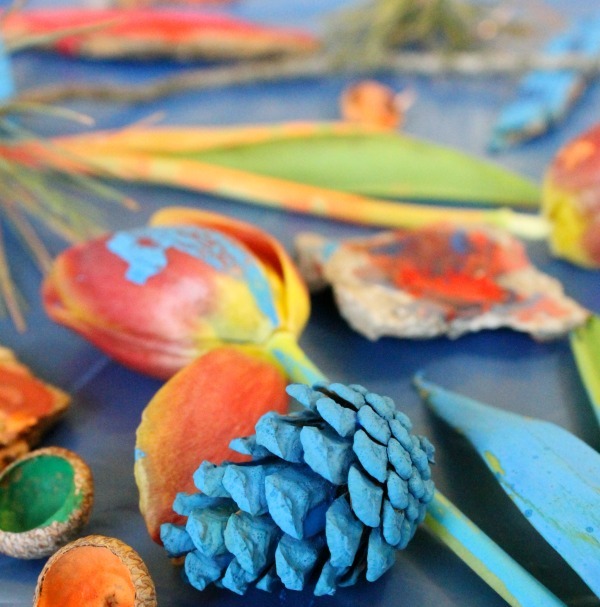 Clay Birds Nest: Using clay is always a fun craft for kids. 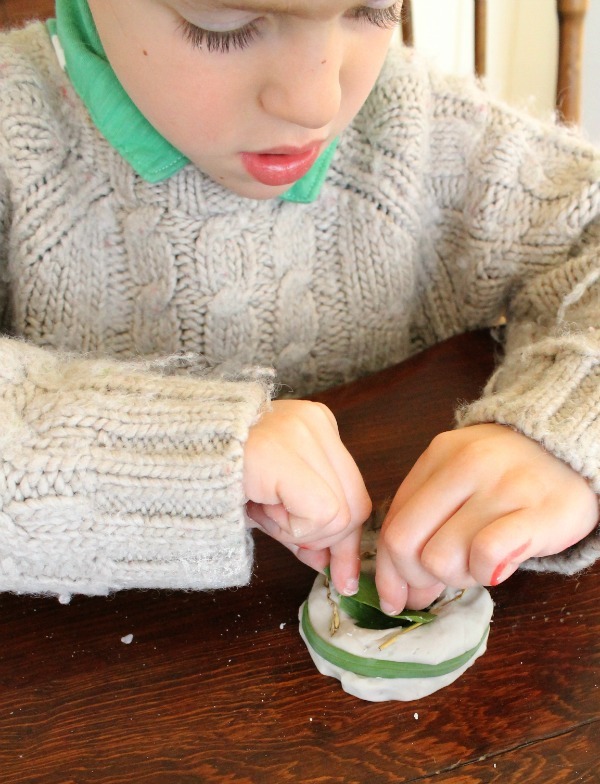 In this art exploration we made cute bird’s nests with nature material and a simple air dry clay (recipe in the post). 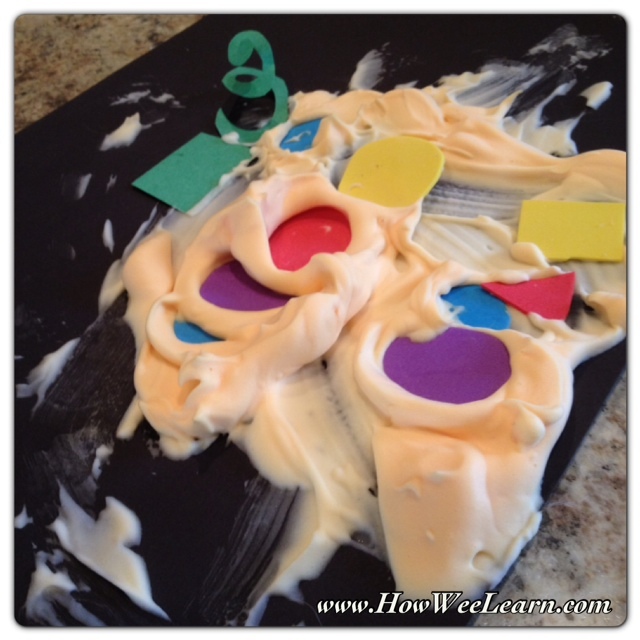 Shaving Cream Art: Have you ever used shaving cream with your crafting? If you mix it with some white glue you have a permanent art piece in the end as well. 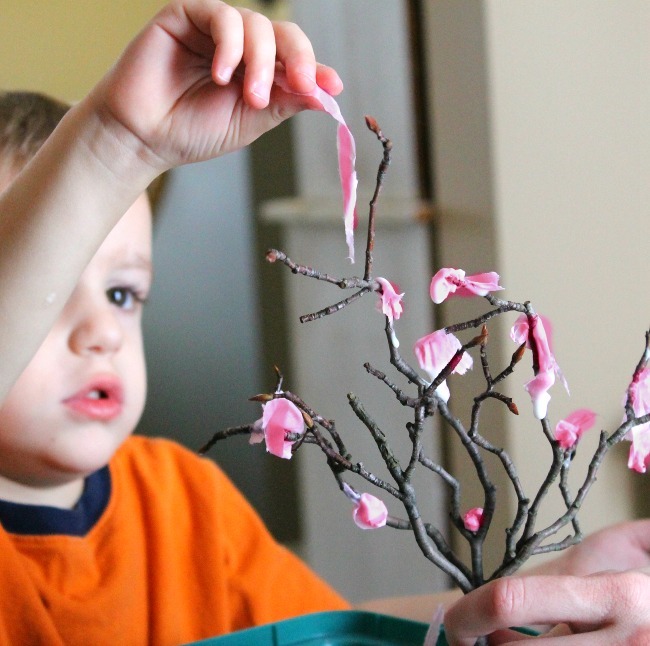 Blossoming Crafts for kids: This craft uses tissue paper, glue, and a tree branch and turns out beautiful. It is a great sensory activity for children as well. 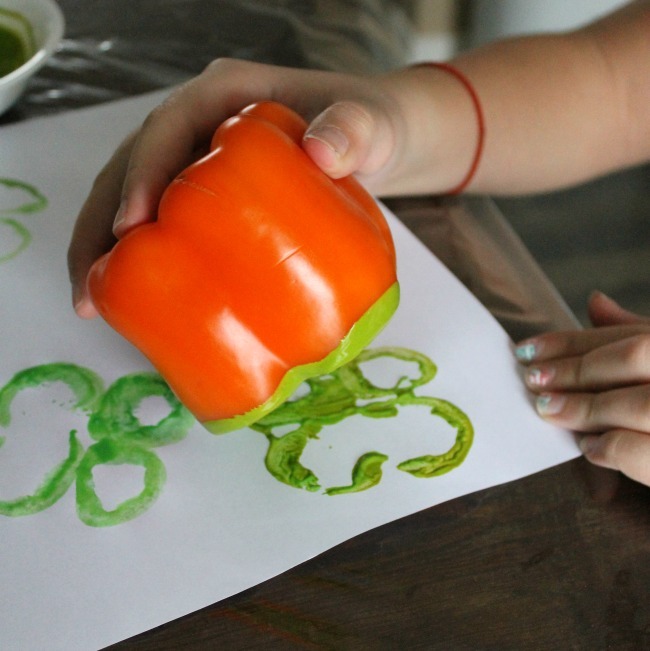 Nature Painting: A fun and simple craft for kids is nature painting. Start this craft with a nature activity to gather some leaves, pinecones, sticks, rocks, and anything else you discover. Bring them home and get creative! Pipecleaner Finger Puppets: I’ve said it before and I’ll say it again: the best fun crafts turn into toys! 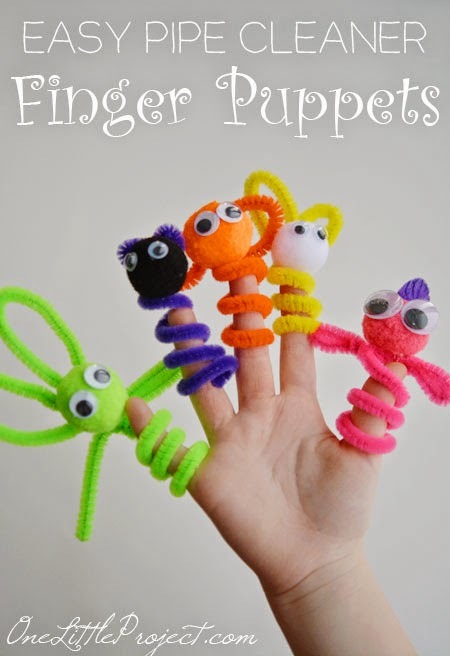 These pipecleaner finger puppets are such fun crafts AND toys for kids. 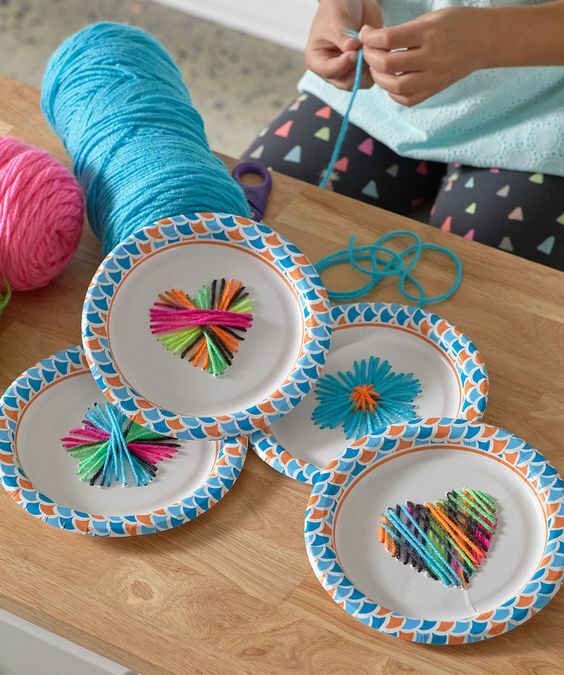 Paper Plate Weaving By Red Heart: Add some hole punches to a paper plate and you have a fun weaving craft for kids of all of ages. 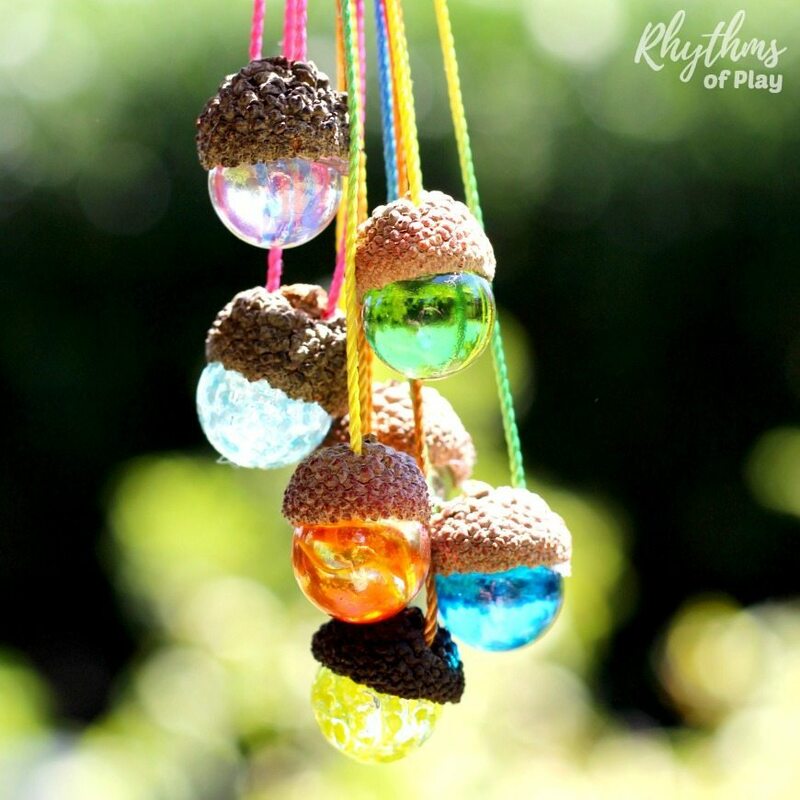 Acorn Necklaces By Rhythms of Play: This is such a fun craft that could turn it to a gorgeous homemade gift as well. 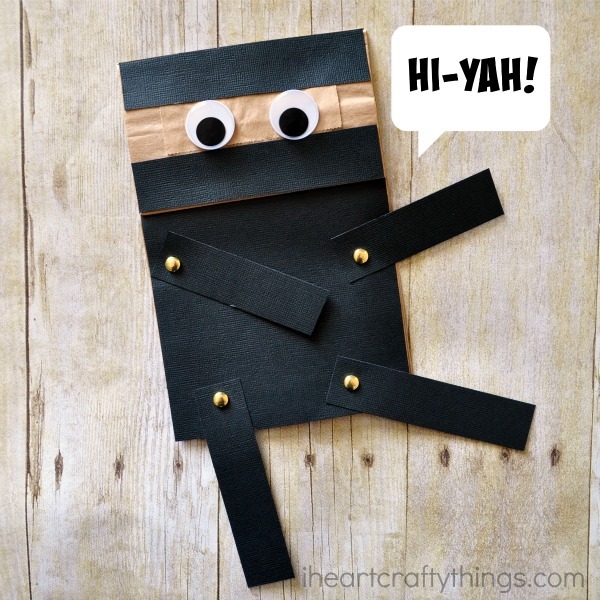 Ninja Paper Bag Craft By iHeart Crafty Things: My boys are a little ninja crazy right now. These ninjas are bound to be a fun craft for them. 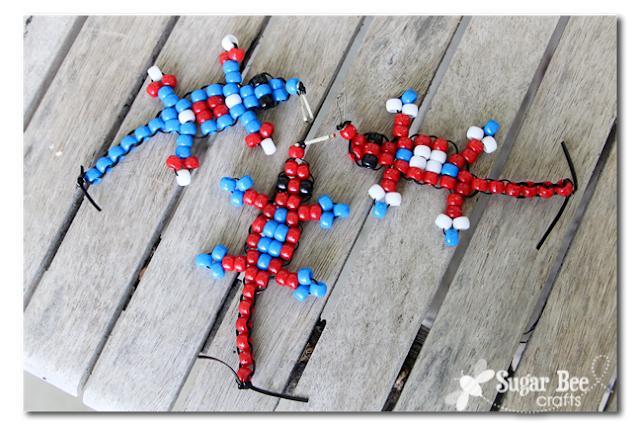 Beaded Lizard By Sugar Bee Crafts: Using ponybeads to create little lizards is such a fun idea. These would look great clipped to a backpack. 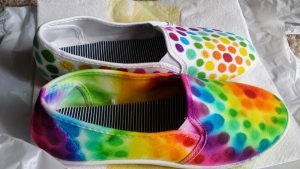 Tie Dye Shoes By Made in Michigan: Make a cool design on some white shoes with Sharpies and then drip on some rubbing alcohol to get this cool tie dye effect. A really fun craft for big kids! 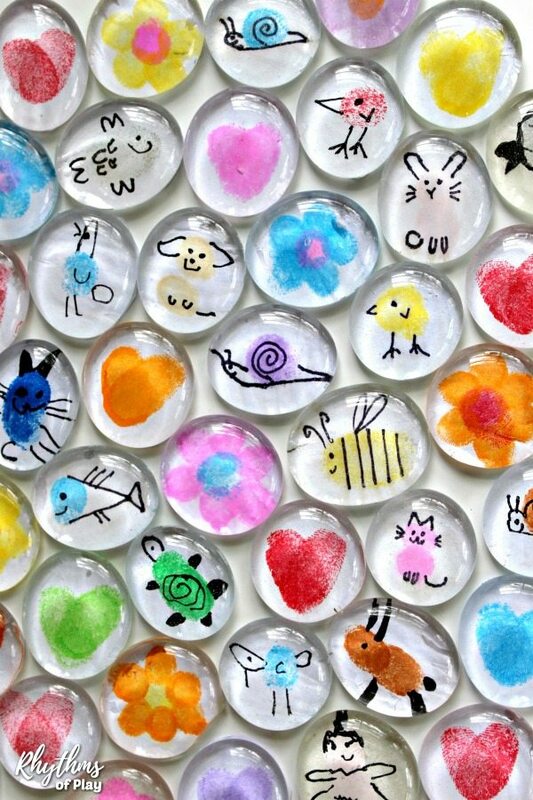 Fingerprint Magnets By Rhythms of Play: Transform clear glass gems into gorgeous keepsake magnets with this fun craft for kids. 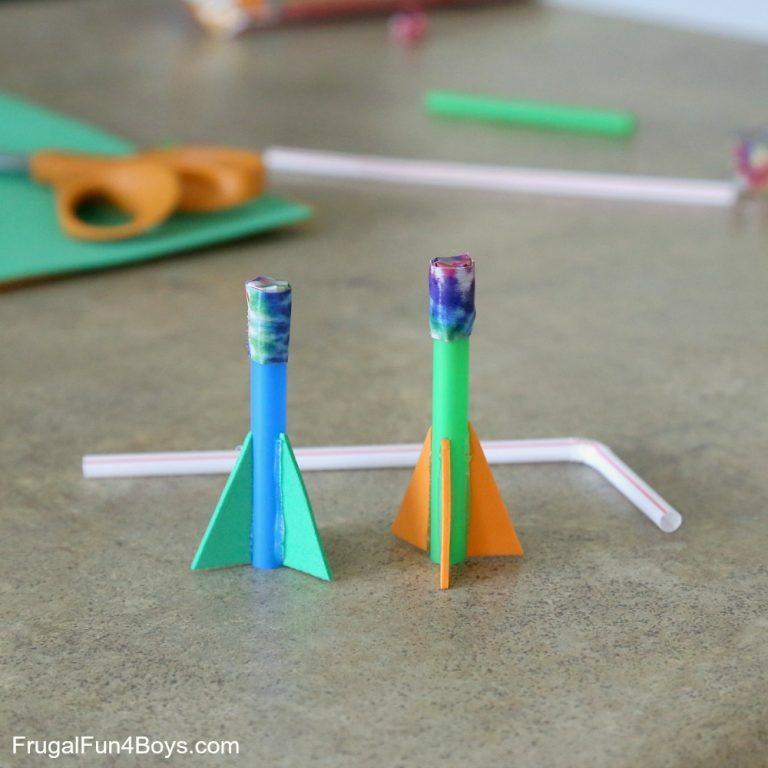 Straw Rockets By Frugal Fun for Boys: This is such a cool craft for kids! Use straws of different thicknesses to make rockets. 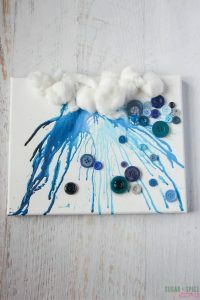 Rain Cloud Process Art By Sugar, Spice, and Glitter: What better activity for a rainy day than this rain cloud! Tie Dye Baby Wipes By I Can Teach my Child: Who doesn’t have baby wipes laying around? 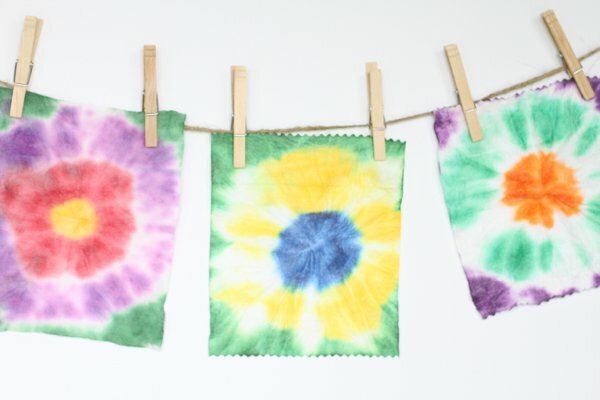 These awesome tie dyed baby wipes turn out so pretty – you could turn them into flowers too. 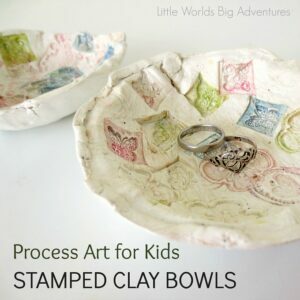 Clay Stamped Bowls by Little Worlds Big Adventures: This awesomely cool craft for kids is bound to impress little ones of all ages. And best of all, it is nice and simple. Yarn Balls By P&G Everyday: Some glue, yarn, and balloons is all that is needed for this fun craft. 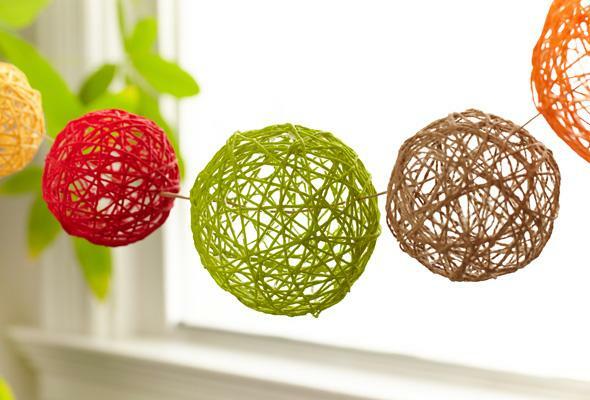 I love the idea of stringing these yarn balls onto string to make a pretty garland too. 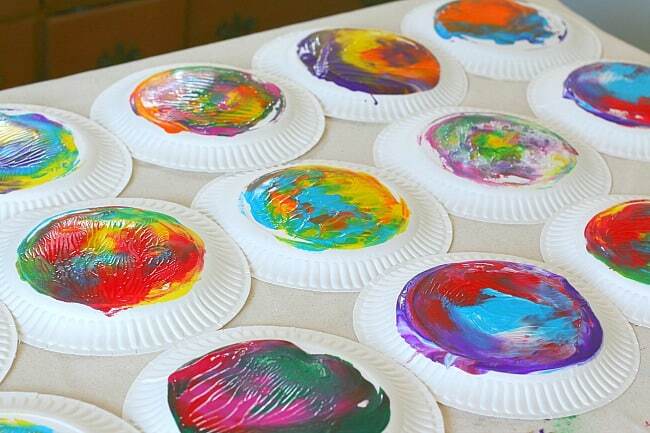 Paper Plate Twisting By Buggy and Buddy: Learn about colour mixing and blending with this quick and easy craft using paint and paper plates. 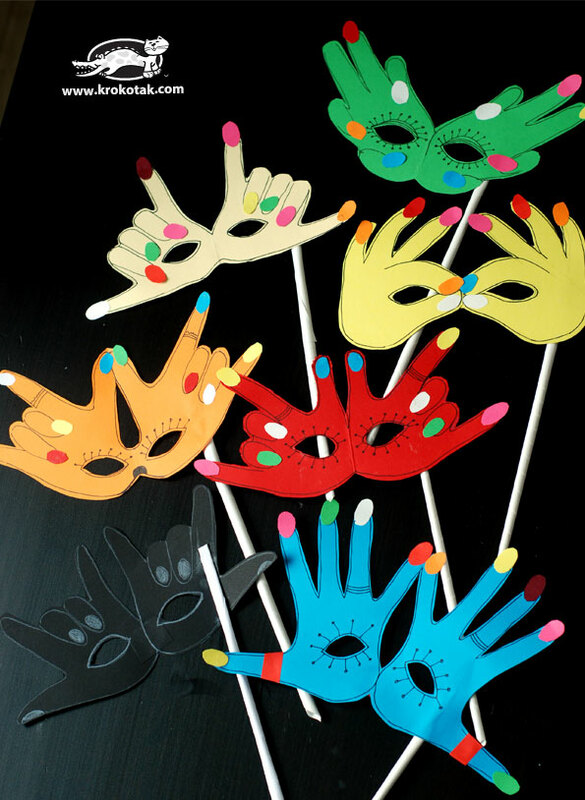 A Mask from Handprints By Krokotak: Use your little ones very own hands to create her very own mask. Such an easy and fun craft with loads of pretend play afterwards. 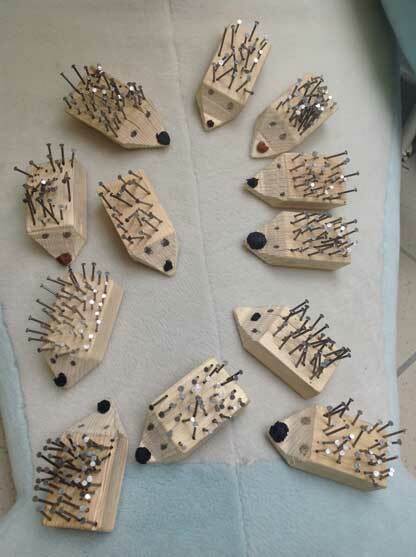 Wood and Nail Hedgehogs By Vszell: Using hammers and nails little ones can create these cute hedgehogs! My kids would do this craft all day long. Handy Kids Bracelet: This craft is great for the little builders out there. Using washers and nuts your little one can create bracelets, rings, and nails. Flower Tote By DIY Candy: Another fun craft that uses a hammer AND nature (two of my most favourite things to craft with!) 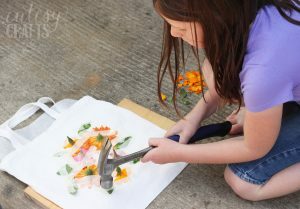 Hammer some flowers onto a shirt or a bag for a fun craft and cool gift. 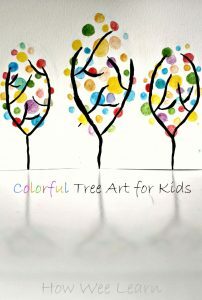 Colourful Tree Art: These beautiful art pieces are actually incredibly easy to make. We made them nice and colourful as a Spring craft project, but you could make them any way you like. 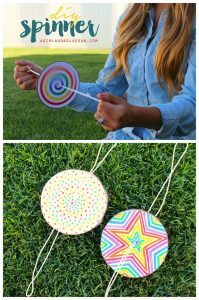 Paper Spinners By Make and Takes: These fun paper crafts are simple to make and simple to use too. 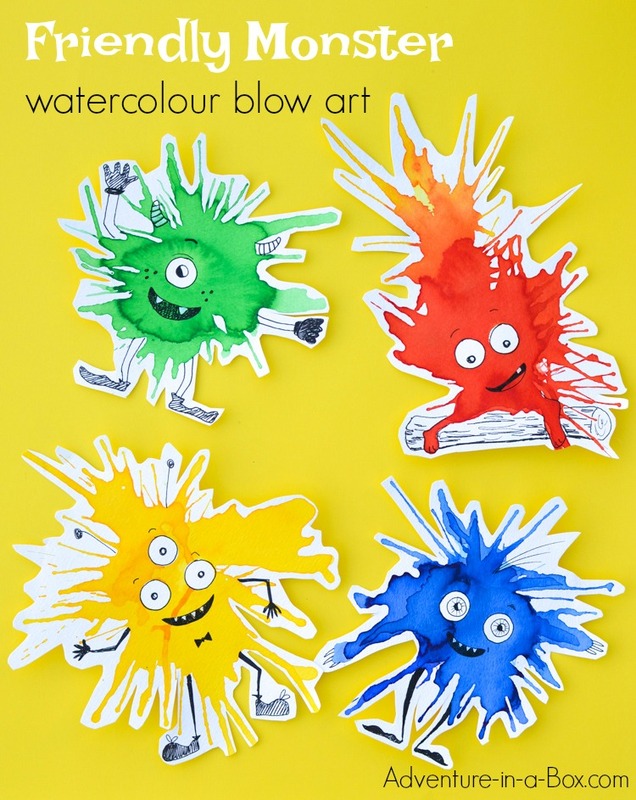 Monster Blown Art By Adventures in a Box: I love the idea of turning paint blowing into monsters. Add some googly eyes, yarn, stickers, or just decorate them with a marker. 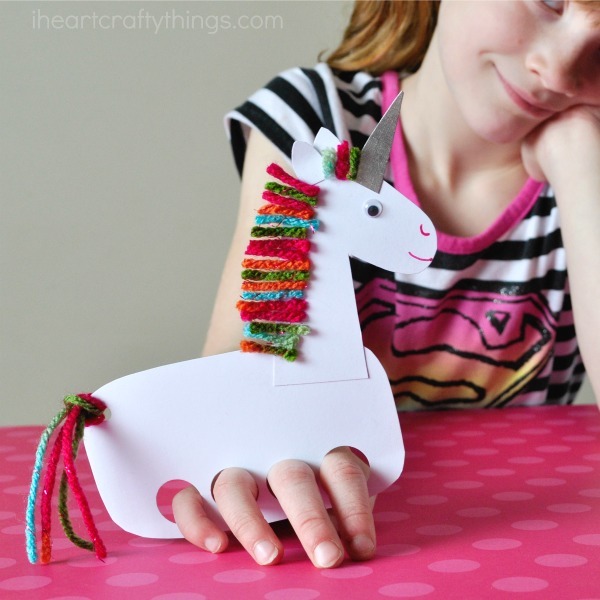 Unicorn Puppets By iHeart Crafty Things: If you know a little one who is unicorn crazy, you might have just stumbled upon the perfect craft! 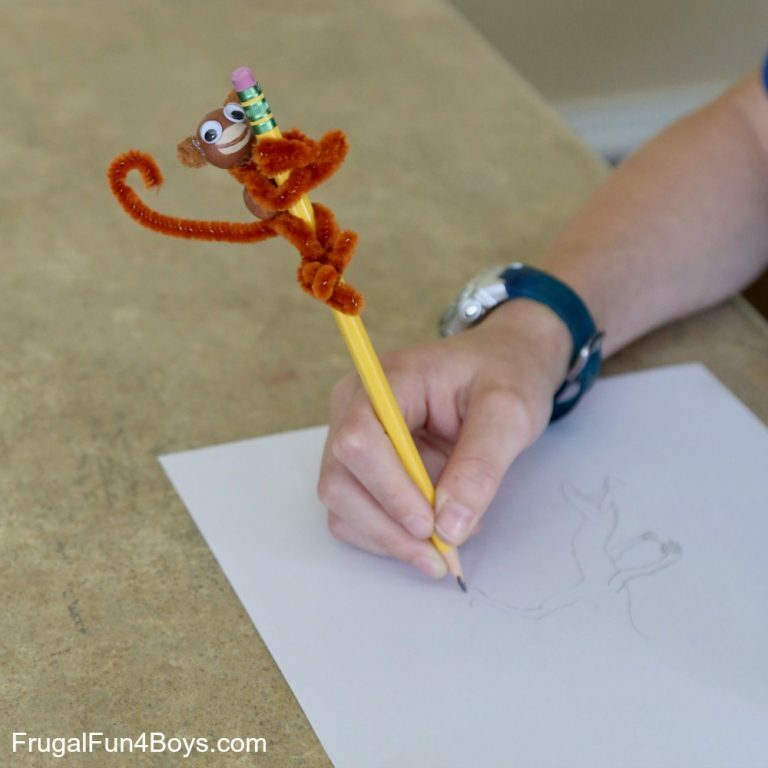 Pencil Monkeys By Frugal Fun for Boys: These cute little monkeys made from pipecleaners and beads are such a great way to top a pencil. Now this is a fun craft! 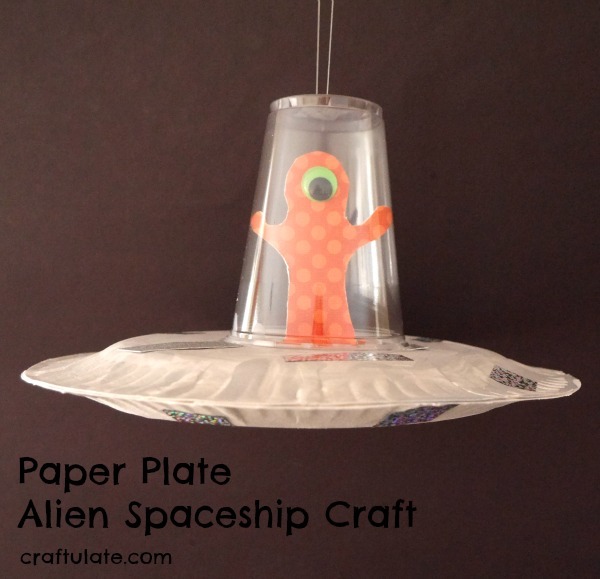 Paper Plate Alien Spaceship By Craftulate: A paper plate, plastic cup, and cardboard alien all add up to one fun craft for kids. This one would look so cute hanging in a bedroom. 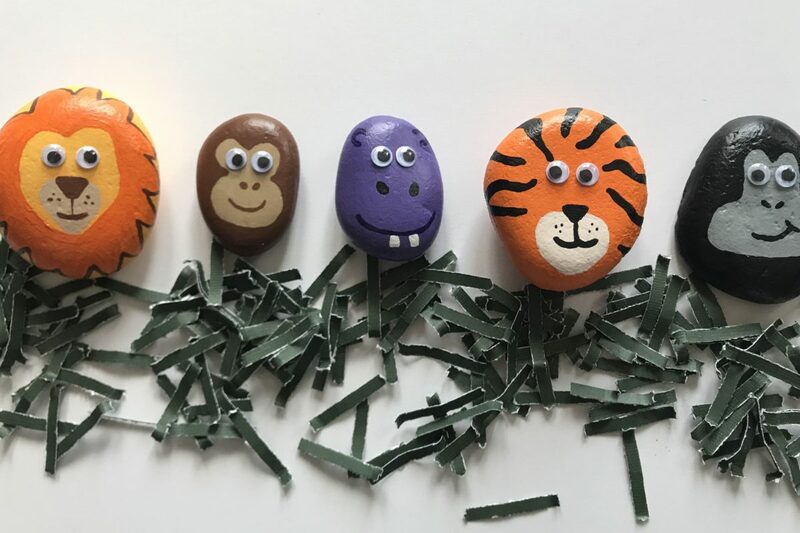 Pet Rocks By Love Your Littles: This fun idea is sure to be a crafting treasure. Find some lovely rocks and spend the afternoon creating a zoo or some new pets. There you have them! 50 of my favourite amazingly fun crafts for kids – after all, that is what crafting is all about, isn’t it? Fun and time creating together. I hope these fun craft ideas give you an idea or two just perfect for you and your little ones. Happy crafting Mama! Thank you so much for reading friends, come back soon. Thank you, Sarah, for including our crayon cloud craft! This is such an awesome summer resource!